Everything in your office will communicate something to new clients, and first impressions in business are everything. 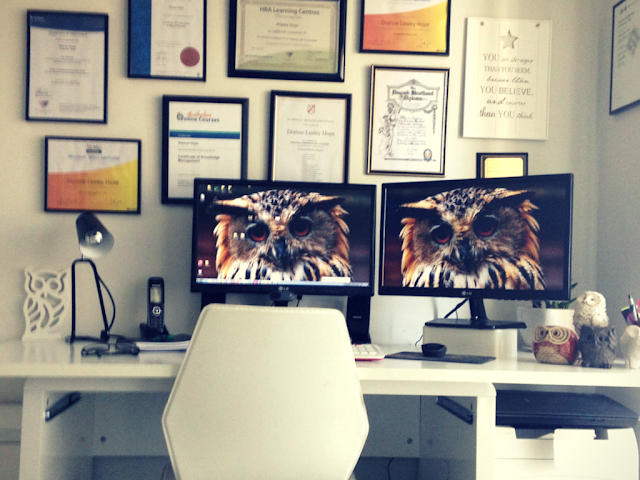 A poor office environment can really impact how visitors and potential clients or customers perceive your business. Easy and inexpensive updates can have a huge influence on your office space, and help your business aims more than you thought possible. Outdated electronics, shoddy furniture, and peeling paint will make your business feel stagnant. Nothing sticks out more than furniture or appliances that look like they’ve been transported directly out of 1982. Bring your office into the 21st century by updating any out of date items and décor—you’ll be amazed at the immediate facelift the space receives. Take advantage of updated technology, as its practicality and modernity will make a great impression on any visitors. Do you have a dedicated waiting area for your guests? Is it comfortable? This is the main first impression area, and you’ll want to ensure it’s a great one. Place vegetation and fresh greenery around your waiting area—it’s known to improve mood—have a friendly receptionist to greet them as they enter, or make sure another employee tackles the introductions if you don’t have a receptionist on the payroll, and do your best to ensure they have current reading material or décor to keep them interested until you’re ready to receive them. While the advent of conference calls has made face-to-face meetings less common, don’t completely disregard your meeting space. Be wary of using a desk during meetings; it’s intimidating. Consider instead a couch and coffee table where you can sit with clients and create a more relaxed and comforting atmosphere. If you regularly receive larger groups, forgo the traditional rectangular meeting table and instead look for a round version. This will place everyone on an equal playing field—no head of the table here—and will open up the space for collaboration and negotiation. A disorganized space reads a disorganized business style. It may be far from the actual truth, but that will be the reality in your clients’ eyes should they come into a cluttered office. Fixing this problem is as easy as installing new storage options and spending a half hour each week ensuring your space is kept clean and tidy. Ask employees to make real effort to keep their desks clear and knick knacks to a minimum. You might also consider having a cleaning service—beyond normal janitorial functions—come and do a deep cleaning every month or two. Nothing’s going to turn off a guest more than a sticky spider web in the corner of the room. If your office is as dark as a dungeon, you’re definitely turning off clients. The right lighting can completely change a space, so consider adding different layers and levels of light to all of your office meeting areas. Natural lighting is the best option, but if your office simply can’t take advantage of sunlight, you’ll have to do your best to imitate it as closely as possible. Avoid overhead lights, as the harsh glow will turn off clients and give your office a sterile feel. An office with no decor feels sparse and cold. When shopping for décor, you need to find items that reflect your brand and your company’s aim. If you’re a design business, then you are guaranteed to be judged on the décor aligning your walls. If you’re looking for sleek and trendy to attract high-end clients, consider buying fun modern products to align shelves and walls, like statement art pieces that will start a conversation. If you’re in a business that’s attempting to appeal to children and their parents, consider bright colors and fun imagery. Don’t forget the outside of your office building. Even if you don’t own the property, there are often things you can do to improve curb appeal. Plant flowers and other vegetation, keep pathways and sidewalks swept and clean, and give your front office windows a good scrubbing each week to ensure you look polished from the outside in.